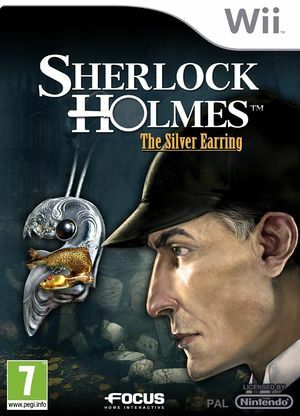 Sherlock Holmes: The Case of the Silver Earring opens his very first case on Nintendo Wii with this great adventure, created to make use of the console's unique features, which will see the player acting as both Sherlock Holmes and his faithful friend, Doctor Watson in order to clear up this astonishing story. October 1897. Sherlock Holmes and his friend, Doctor Watson, attend a reception organized by the powerful businessman, Sir Melvyn Bromsby, to celebrate the return of his daughter Lavinia. As he is about to give his speech, a shot comes out of nowhere and Sir Bromsby falls to the ground, mortally wounded with a dark red spot on his chest. Without hesitation, Sherlock Holmes decides to investigate before the police even arrive, but when more deaths occur, Holmes must rely on his keen sense of deduction and the support of his faithful friend, Doctor Watson, to help him solve this dark case. The graph below charts the compatibility with Sherlock Holmes: The Case of the Silver Earring since Dolphin's 2.0 release, listing revisions only where a compatibility change occurred. This page was last edited on 13 January 2018, at 13:27.